From the intersection of Foothills Pkwy. & Baseline Rd. go east on Baseline to your 1st stop light Crescent Dr. go north to your 1st stop sign turn left on Laurel Ave. go to your first stop sign turn right on McIntire St, then your first left is Teller Circle the house will be on your right it is cul-de-sac. Follow the NEON GREEN signs! 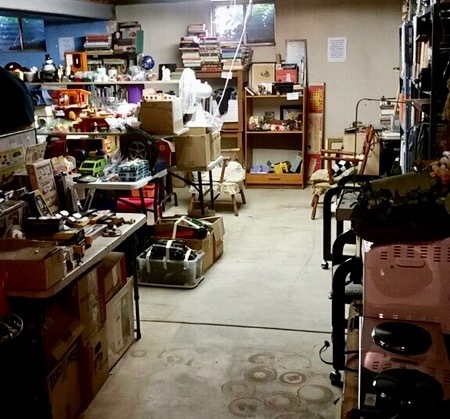 Mon, 10 Jul 2017 10:00 AM - 2:00 PM - Everything MUST GO! This is a 3 level home with a two car attached garage and it is literally packed to the rafters. The client was a major hoarder threw nothing away and continued to buy. In 20 years I have never seen anything like this. You will be entering and exiting the sale through the southwest side gate in the backyard. The cashiers will be under tents in the backyard. All jewelry must be paid for separately and there will be a cashier specifically for that. This is not a normal Denver Gypsy Boys Estate Sale, you may have to dig a little, not everything will be perfectly cleaned and organized and there will be some items that didn't get priced, please do watch for signs that will have pricing. We have been working on the sale for 3 weeks so we look forward to seeing you in Boulder, this is one sale you don't want to miss. There will be a 4th sale day on Monday July 10, 2017 from 10:00 am - 2:00 pm fill up a box small $5 medium $8 large $10.